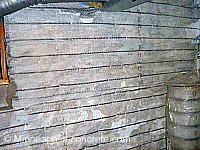 Stone foundation repair is a common need in older homes that have stone foundation walls. The mortar that is in between the stones can weaken and crack over time. These cracks may cause water leaks and weakening in the wall. If left untreated long enough, stones will start to fall out and foundation walls may bulge or collapse. If your stone foundation house has bulging walls, you may need a structural engineer with experience in old houses to determine how to fix the problem. It is important to not let the problem get to this point. You, or a masonry contractor may pull loose stones and debris, and then place mortar and replace the loose stones to keep the walls strong throughout the years. Before and after pictures (below) of a 100 year old stone foundation. This wall was completely missing stones under the window. 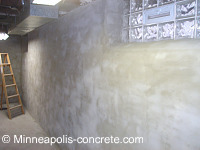 After the stones were re-set with new mortar, brown coat was applied to these basement walls to modernize and "warm-up" the area. 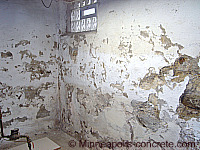 Examine your wall for loose stones and cracked or loose mortar. Sweep out these damaged areas with a wire brush. Remove all debris. Mix mortar according to package directions. Place mortar in the joints that you swept out - make sure there is no loose mortar/stones or the new mortar will not bind well. Replace stones and use a trowel to smooth out the mortar. If there are missing stones, either find new stones, or fill in the entire area with mortar. * If you are repairing the stones on the exterior of the home, you will need to dig down about a foot around the entire exterior and then do steps 1-3 above. After the mortar has been placed, wait three to four days for the mortar to dry to replace the dirt around the foundation. After the stones have been completely cleaned out and re-mortared, we think it is best to place spider lath on the walls verses metal which rusts and corrodes. After this, it is common in older homes to place brown coat on the interior stone foundation walls after repairing. 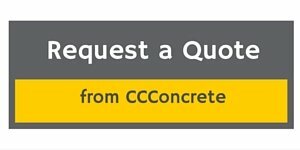 Cornerstone Custom Concrete is not currently taking bids for stone foundation repair, but include this page for your reference.